Please note that some sites on the Trails of History are closed today, Dec. 26, so be sure to check before visiting. There's not much of December left, so I've included the program listings below. 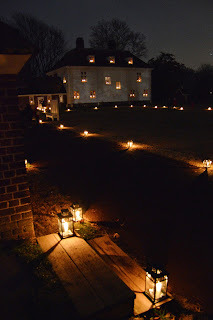 Dec. 26-27 and Jan. 2-3: Lantern Tours—This year's tour is focused on the Great Comet of 1743 (read more about the program in local news) and explores the reactions of community members. Tours are presented by junior and senior high school students under the guidance of museum staff and leave from the visitor center every half hour from 6:30 to 8 pm. Admission: $10 (age 12-64), $9 (65+), $7 (6-11), $5 (3-5); member discounts available. Reservations are required; call 717/433-6600 to reserve your spot. We'll have the January program listings next week, so stop on back. Whatever your plans for New Year's Eve, please be safe, careful, and festive. Best wishes for 2015! If your holiday celebrations include gift-giving, consider selecting something from your favorite museum store. 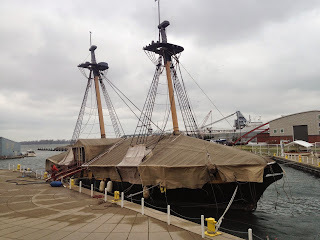 Or browse the list of Trails of History sites and pick one that interests you (a few sites do e-commerce or at least list some of their merchandise on the web for you to order the old-fashioned way). Drake Well Museum hosted a Holiday Shoppe program that explored 19th-century traditions and included a chance for kids to make a "Christmas cracker." Photos on Facebook show kids hard at work on their creations. 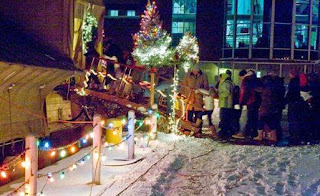 This year, Eckley Miners' Village combined their "Victorian Christmas" and "Children's Christmas" programs from previous years into a single "Christmas at Eckley" program. Offered last Saturday and Sunday, the event drew a larger audience than in the past few years. You'll find some nice photos on Facebook. 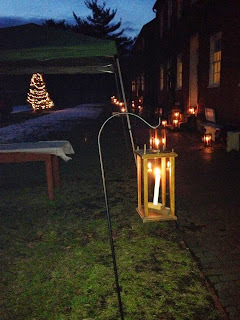 The Ephrata Merchants Association posted photos from Ephrata Cloister taken as part of the first annual Jingle Bell Trolley tour that visited various points of interest in the community. 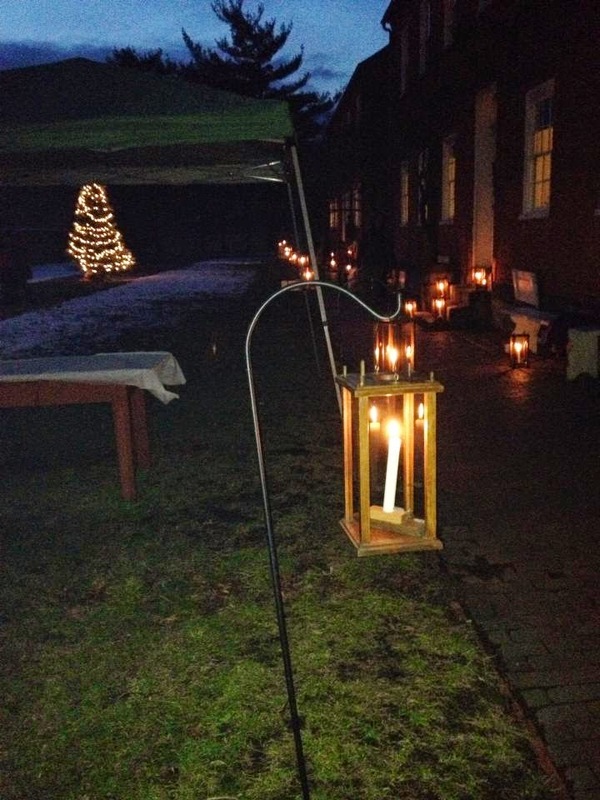 Tickets are still available for Ephrata Cloister's Lantern Tours program - Dec. 26 & 27, Jan. 2 & 3 - but they're getting [link added 12/22/14] some good local coverage, so don't wait too long to buy. This year's theme is the great comet of 1743 (which, according to NASA, had the 6th closest earth approach of any comet). For reservations, call 717/733-6600. When PHMC's social media specialist and the editor of Pennsylvania Heritage magazine visited the Anthracite Heritage Museum recently, they learned about the legend of the Christmas spider. You can too, by watching this short video posted on the Pennsylvania Trails of History Facebook page. 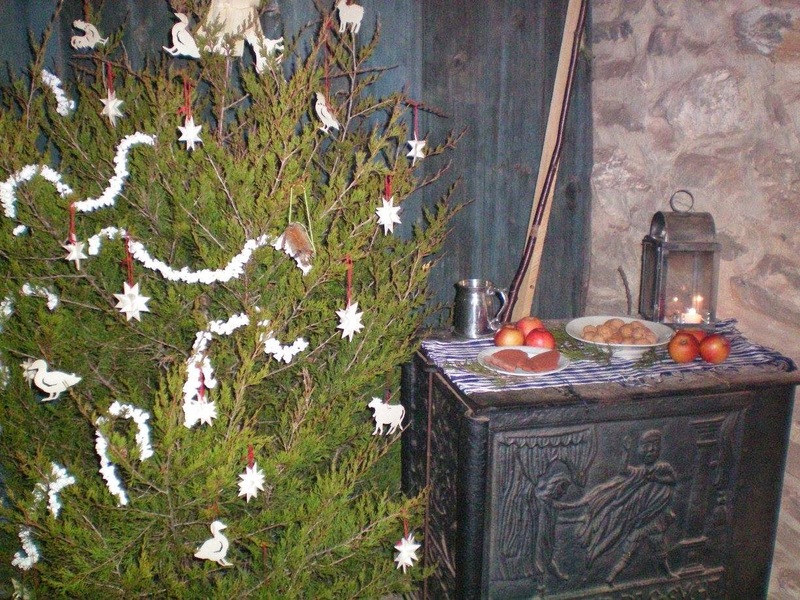 Be sure to check out the December program listings to see what's happening on the Trails of History this weekend. Most of what follows isn't really "catching up" in the sense that it's old news, but the first item is. As I finally trolled through more than a month's worth of Google Alerts, I came across a listing for PCN's "It's History" featuring Drake Well Museum. Actually it was a repeat broadcast from January (of what year?!?) that I apparently missed the first time around as well. The half-hour video introduces the site's mission and interpretation and then provides a tour of some of the site's offerings. Last week's Holly Nights program at Pennsbury Manor included something extra special in honor of the site's 75th anniversary. In addition to the candlelight, firelight, and lanternlight (not sure that's a word, but I'm going with it) visitors have come to expect at this long-running event, Thursday night's program ended with a bang - fireworks on the banks of the Delaware. The Bucks County Courier Times was on hand and has posted video of the evening's festivities, and Pennsbury's Facebook page includes a number of photos (like the one above) submitted by people who attended. It looks like a wonderful evening. Three days after the fireworks at Pennsbury, the banks of the Delaware were treated to a different type of noisemaker when Washington Crossing Historic Park held the dress rehearsal for the annual Christmas crossing. Muskets and cannon were fired to make sure everyone was in practice (the site kindly notified neighbors via social media that there would be a lot of noise). If you missed it (or if you didn't), you'll find a photo album on Facebook with the day's events. 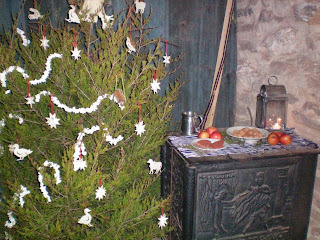 The Christmas day reenactment is scheduled for 1 pm on December 25. It has become a holiday tradition for the Railroad Museum of Pennsylvania to set up a model train layout at the Governor's Residence in Harrisburg. Staff from the museum were at the residence last week, and the public is invited to visit the trains (and other festive decorations) when Gov. Tom Corbett and First Lady Susan Corbett host their annual open house (12/14, 1-6 pm) and holiday tours (12/15-17, noon-2 pm). Now where did I leave those snickerdoodles? The December program preview appeared in last week's post, so be sure to check it out if you missed it (on Dec. 5, the link is just to your right if you're reading this on a PC). I'll be updating as necessary, but it's always a good idea to check with sites before attending events (or just stopping by for a visit), especially when weather may be a factor. There are numerous events scheduled for this weekend, so if you have time, you can probably find something to suit. Two of the 10 finalists (out of 238 submissions) in the Ephrata Merchants Association #Ephratagram photo contest (on Instagram) are photos taken on site at Ephrata Cloister. 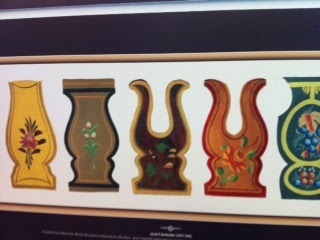 And 1 of the 5 honorable mentions was as well. Clearly lots of people in the area recognize the beauty of the site. The staff and volunteers at Ephrata have been working closely with Ephrata Merchants Association to promote the site and the town. And speaking of photographs, Eckley Miners' Village recently announced the winner of this year's Fall Foliage photo contest. Lorraine Smith of Hanover Township (Luzerne County) was selected from among the entries for her photo capturing the warm colors of an autumn day in the village. Congratulations to Lorraine and all the participants. On a different note, yesterday's Pittsburgh Post-Gazette featured an article ("Beer: Thirsty for an old one?") about a cool partnership between Old Economy Village and Dan Woodske, of Beaver Brewing Co. in Beaver Falls. Using a translated Harmonist recipe, ca. 1816, Woodske brewed a batch of schwarzbier ("black lager"). Of the 45 gallons brewed, 10 were donated to Old Economy and will be available for tasting by folks with tickets to the Dec. 10 Holiday Dinner (today, Dec. 5, is the deadline for reservations, if there are tickets still available). The rest sold out at Woodske's Beaver Brewing Co. brewpub before Thanksgiving. Old Economy staff also worked with staff at New Harmony, Indiana (home of the Harmony Society prior to their move back to Pennsylvania in the 1820s), on this project, since the recipe had changed hands some years ago. If you like beer, the photo alone is worth checking out the article, in my opinion. Thank goodness it's the weekend!